The benefits and challenges of working in a spa. Integrating spa services into your massage practice. The impact of color and your massge office. Increasing business through at-home spa parties. Benefits and Challenges of Working in a Spa - As the spa industry continues to boom, a growing number of massage therapists are finding spas to be the source of their livelihoods. In order to cater to the needs of the public to rejuvenate, unwind and heal, spas are increasing in number. Discover the extra skills required to be successful in this unique work setting. How to Integrate Spa Services Into Your Massage Practice - These days, an increasing number of practicing massage therapists, wellness centers and spas offer massage services, and they are competing for similar clientele. The field of massage therapy is more competitive today than ever before. Massage therapists need to stand out from others if they want to enjoy continued success. Learn how you can cost-effectively integrate some unique and valuable aspects of the spa industry into your own private practice in order to attract new massage clients and to retain long-term ones. The Impact of Color and Your Massage Office - Color surrounds us every day of our lives. It can be stimulating or calming. In most massage sessions, the client's eyes are closed, so it may seem that the colors used in a massage office are less important than in other settings. However, the colors used in your office convey an important message. Learn how to use color to set the tone and help clients get the most out of their massage. At-Home Spa Parties Can Increase Winter Business - Winter can be a slow time for massage therapists. 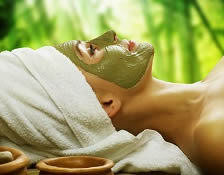 Find out how offering at-home spa parties can liven up your business. Great course. I especially enjoyed the spa party section, and plan to integrate them into my practice. I loved this course, short but very informative. These short courses are helpful and do not take a lot of time. I learn at least one new idea or topic related information. Identify the benefits of a massage therapist working for a spa as well as explain the challenges of employment with same. Determine how a massage therapist can incorporate spa amenities into a private practice as a way to increase business and provide enhanced service to client. Observe how the use of color can enhance the overall experience of a client in a massage office setting as well as. Explain how offering at-home spa parties can increase business and identify the various marketing tools that can be utilized in promoting the concept to potential clients. The staff took the time to call me regarding my state requirements and allowed me to re-order the appropriate courses. My deepest thanks for that!